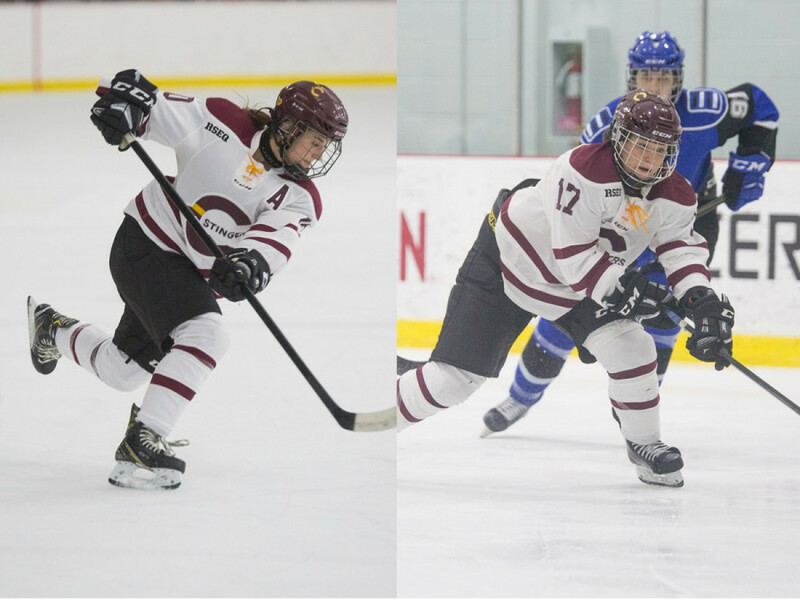 Forwards Audrey Belzile and Claudia Dubois were the team’s two most productive players this season, posting 18 and 20 points, respectively. It turns out that their dynamic presence on the ice has translated off of it, as well. Belzile, or “Beli” and Dubois, or “Dubs” are best friends and roommates. Although, this hasn’t always been the case. In CEGEP, they were “enemies” who played on rival teams. Belzile played for Cegep St. Laurent Patriotes and Dubois played for Limoilou Titans. 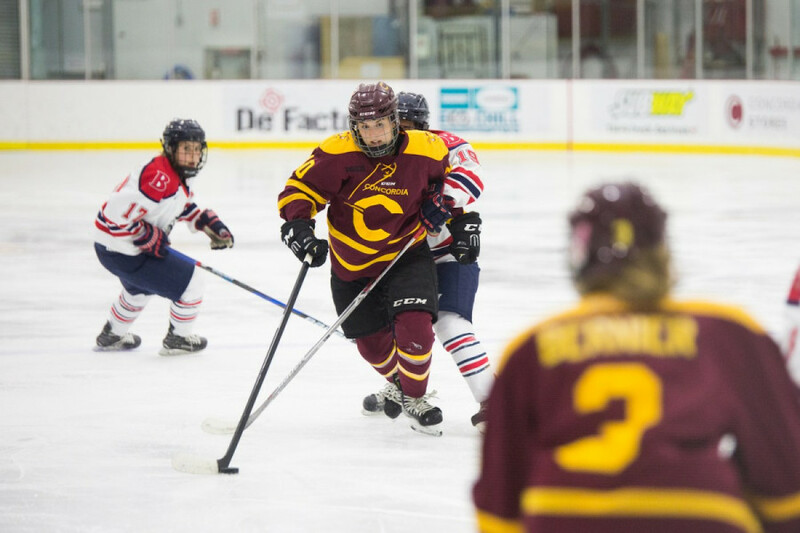 Two years later, in her second season as a forward on the Stingers, Dubois suddenly found herself on the same team as Belzile. “The past is the past,” said Belzile. The rivalry they once had in cegep transformed into a dynamic relationship of support at Concordia. When they are pitted against each other during practice, there is only healthy competition. The players now live together as roommates, and are best friends. Their head coach Julie Chu, set up the living arrangement. They have conflicting schedules, so they don’t see each other too often at the apartment. Still, they coexist well on and off the ice, even when it comes to doing chores, they said. Belzile went on to say that now, their focus is the team. Related: The Stingers Clinch Berth in National Tournament. Going from rivals to having a close relationship is something Chu has lived through herself. The former U.S. national team member is married to Caroline Ouellette, a former Canadian national team member whom she faced in three Olympic gold medal games and in several World Championship finals. Both are accomplished athletes in their own right, it made sense that the two would cross paths on opposing teams. Their rivaling CEGEP teams always contended for the provincial championship and were no stranger to each other. In Dubois’ last game as a Titan, she lost to Belzile’s Patriotes in the provincial final. Related: Audrey Belzile Scores Four Goals en Route to Stinger Win. If they have constructive criticism to give each other, they never take it negatively, Belzile continued. They are there to help each other and to keep improving. “Although Caroline and I played on rivaling teams, the same time, you are partnered with someone who understands exactly what you’re going through,” said Chu. “They understand the ups and the downs, and the challenges that come with being an elite athlete, and the commitments that we have to make. I also think it bonds us in a lot of different ways,” she added. The team is now in the thick of the playoffs. 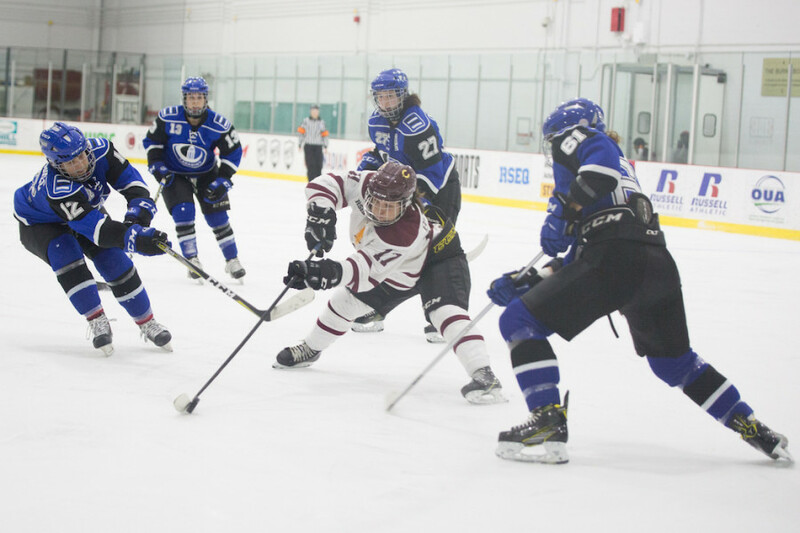 They just wrapped up a tense three-game series with the University of Ottawa Gee-Gees. Now, they’re getting ready to face the team that narrowly edged them for first place in the Réseau du sport étudiant du Québec. The two hope they can help their team bring home the RSEQ banner.